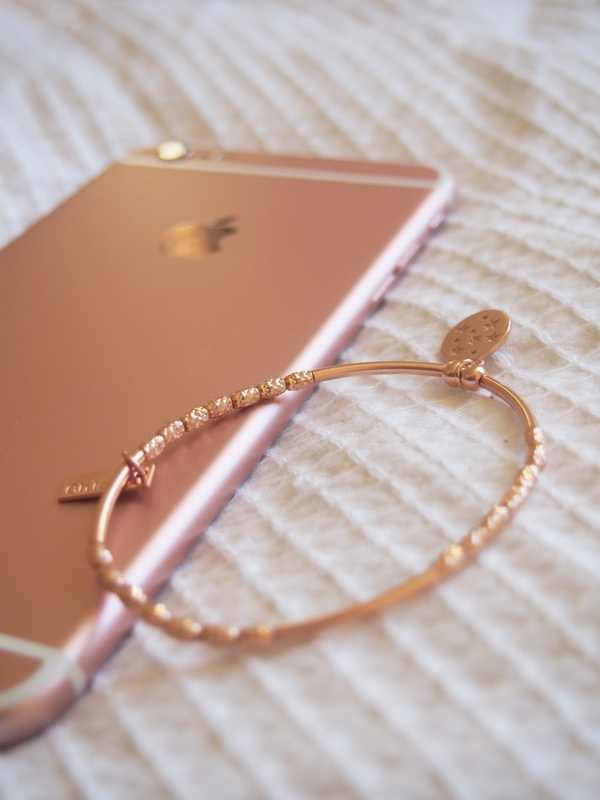 I don't think anyone is quite over the Rose Gold craze yet, and I'm certainly not getting over it any time soon. Have you seen the new rose gold hair trend? I think even Kylie Jenner's done it; it never stops! There has been quite a lot of jewellery featured on my blog in the past, and you may remember my last Jewellery Update with Happiness Boutique (post here) featuring some gorgeous diamond shaped statement rose gold earrings. This time around gorgeous doesn't quite cut it when describing the latest piece I've fallen in love from ChloBo. 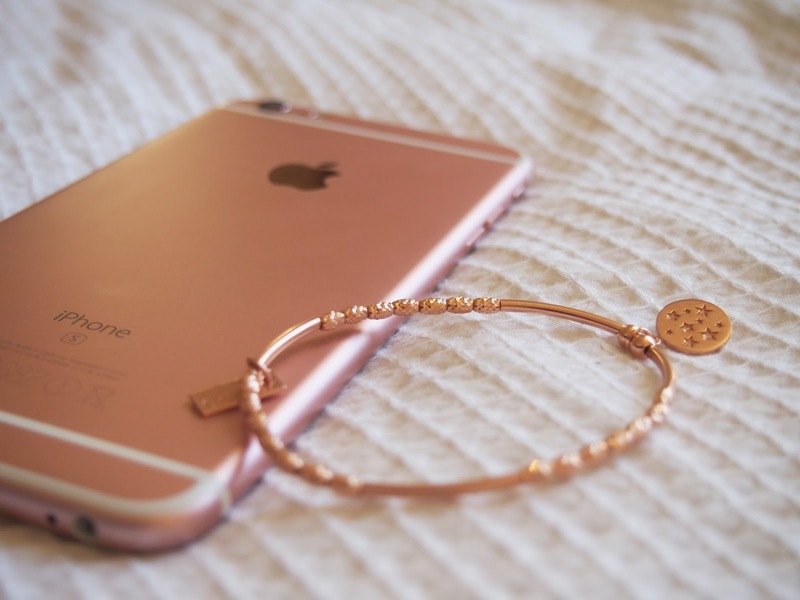 What rose gold pieces are you sporting this season? 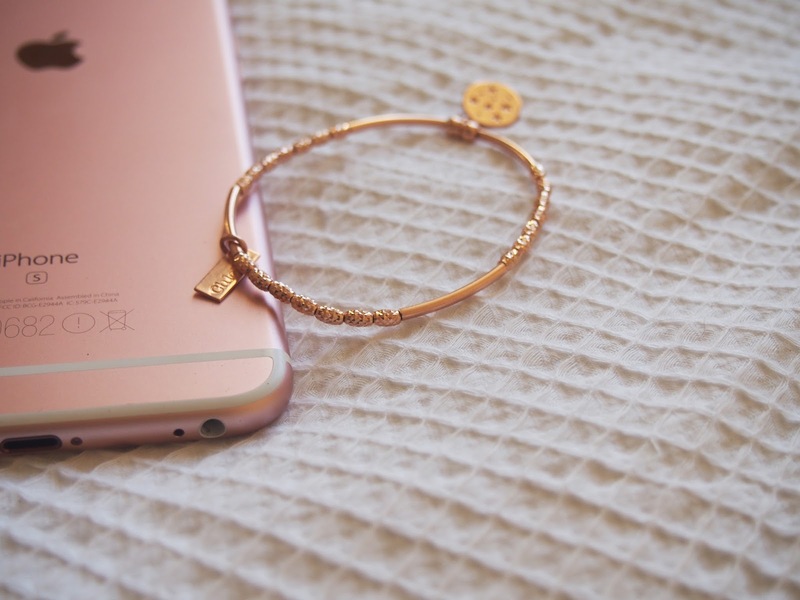 The Mini Noodle Sparkle Stars Disc Bracelet* (£95) is plated with Rose Gold on 925 Sterling Silver and features the Star Charm symbolising a wish. 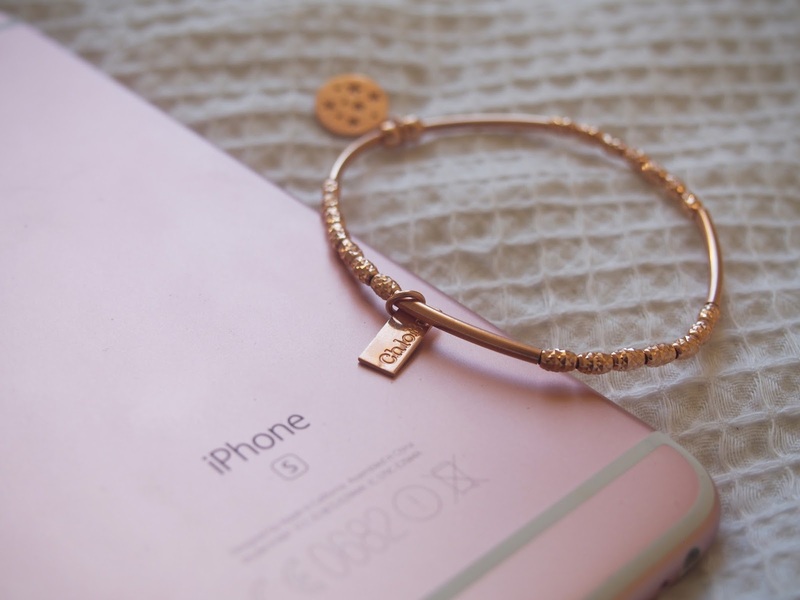 Every purchase comes with a Charm Guide which breaks down what each symbol means. 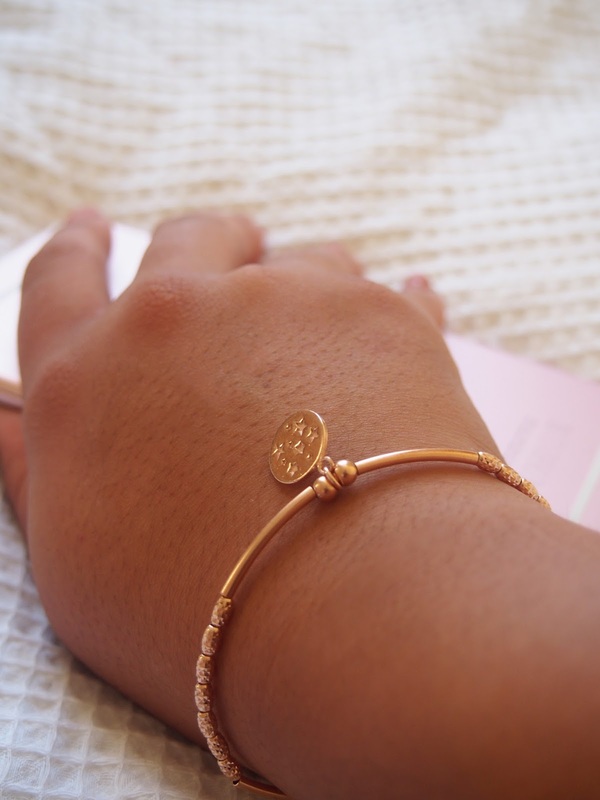 The process of picking out your own ChloBo piece is very individual to each person, as you get to chose which charm you'd like, the type of bracelet and of course whether its gold, silver or rose gold. The same applies to all other types of jewellery on their site but keep in mind when picking a stone piece, its even more unique because they're natural and all are handmade. If you haven't heard of ChloBo before then you've certainly been missing out. 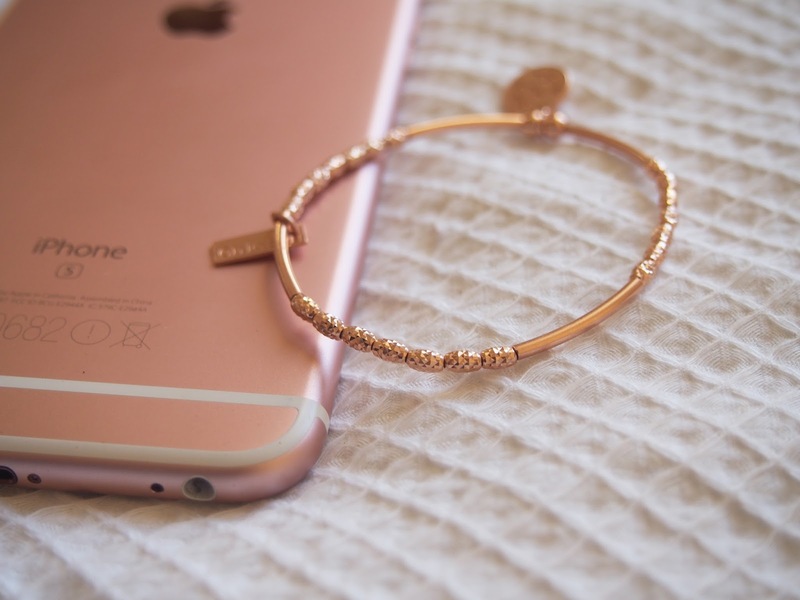 The brand was founded by Chloe Moss who travels the world looking for inspiration to create these gorgeous designs. Each piece has a 12 month repair warranty, but the quality of every hand made piece is bound to impress and withstand. It's safe to say I'll be featuring this bracelet in lots of looks to come, so watch out for my next outfit posts for fall! The beauty of these types of jewellery is their versatility; they can add a touch of class to an everyday look but also perfectly accessorise a night out look partnered with heels and a gorgeous dress. I can't wait to play around with the looks I can create with it. I don't expect anything less than perfection from ChloBo, and if you explore their site you're sure to find the perfect piece for yourself, or a loved one because these of course make perfect gifts and come in the most beautiful boxes. Don't forget, ChloBo do all kinds of jewellery not just bracelets; earrings, chains, pendants, necklaces and more. Plus, gift cards are also available to purchase online if you'd like to give the recipient of your gift a little more choice (check out their gift guide for more inspiration). 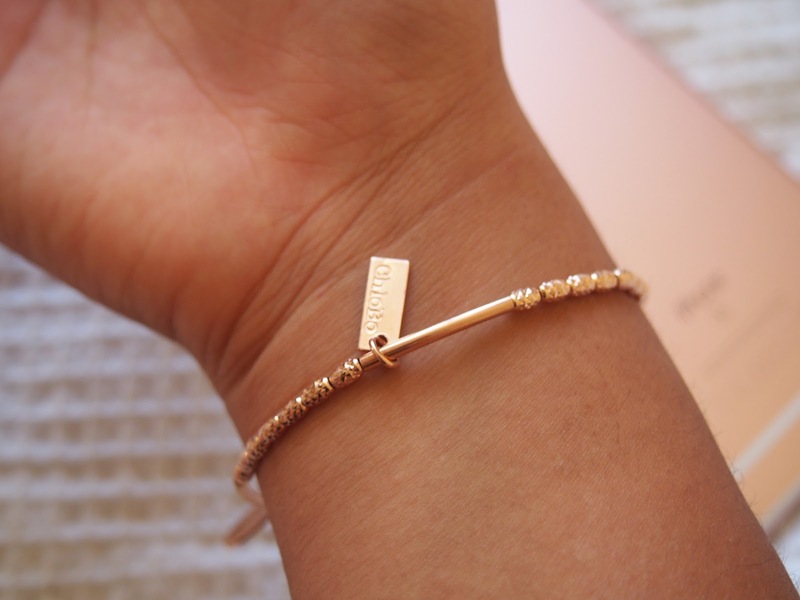 What do you think of this statement bracelet from ChloBo? What are your favourite pieces to wear right now?